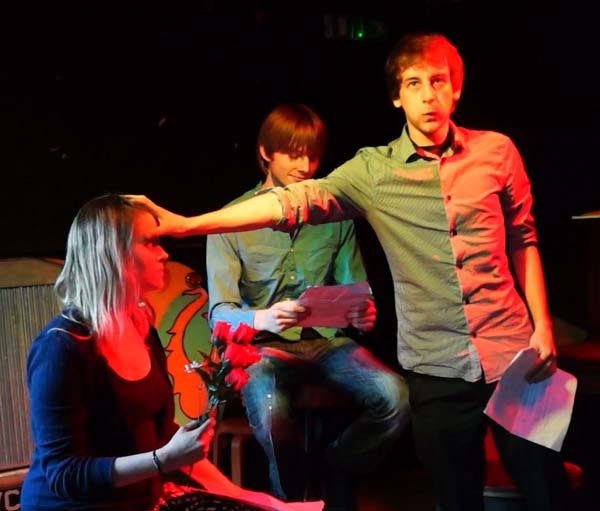 Bath based comedy troupe The Idle Playthings are a great comedy package, they do it all - Stand up to Sketches to Improv – all the points of the comedy triangle. From humble beginnings sidelining in various festivals (The Independent Bath Literature Festival, The Jane Austen Festival and Bath Live Art Project) the Playthings have really come into their own. In just three short years under the guidance of president Luke Mallison ,"a fast developing young force to be reckoned with" - Danny's comedy club 2013, they have hosted their own range of cabaret nights 'BringBackCabaret', have a 3 year run as part of the Independent Bath Literature festival, performed a full Bath Fringe Festival sketch show 'The Ladle of Destiny' and ran charity comedy events for Oxjam Bath and Movember UK."